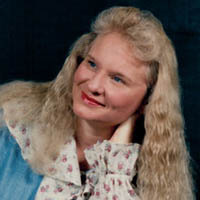 Anita Jones Chrisley, 68, of Pulaski passed away into the loving arms of Jesus Christ on Wednesday, March 27, 2019. She was a member of the Pulaski Church of God since 1982. Her life was the love of her family and church family. She was so thankful to have such a loving family and friends. Anita was born December 11, 1950 in Pulaski, VA. She was preceded in death by her husband Everett Junior Chrisley, her parents Elmer Howard Jones and Bernice Lee Haney, and step-father William C. Haney. She is survived by her children, son; Timothy E. Chrisley and wife Lisa, son; Richard L. Chrisley and wife Areli; daughter; Candice R. Tuttle and husband Zeek. Two brothers James E. Jones and wife Judith and Frederick Jones and wife Linda. Two half-brothers Todd and Howard Jones and a half-sister Teresa. Other family members include 8 grandchildren: Victoria, Darren, Tyler, Carmen, Jordan, Alex, Kaitlynn, and Haley. Two great grandchildren Marquese and Koda. Beloved aunts, uncles, cousins and special nephews and nieces. Funeral services will be held Saturday, March 30, 2019 at 11:00 a.m. at Seagle Funeral Home. Family will receive friends from 6:00 p.m. until 8:00 p.m. Friday at the funeral home. Interment will be at Highland Memory Gardens in Dublin, VA.